Figure from page 2 of the guidelines. Within the context of the United Nations Framework Convention on Climate Change (UNFCCC, 1992) governments have agreed on options that will facilitate the effective, equitable, and efficient delivery of climate finance. This process has reinforced the importance of strong national climate strategies as well as in-country institutional structures. A major theme within these discussions has been “direct access” to climate finance, and over the past decade the volume of nance and number of sources of such finance have grown rapidly. This paper presents a summary of the Project Appraisal Guidelines developed by ADAPT Asia-Pacific in collaboration with India’s National Bank for Agriculture and Rural Development (NABARD). Building on NABARD’s project shortlisting criteria, the Guidelines help NABARD to harness the local knowledge of India’s civil society organizations to design strong adaptation projects for funding from the Adaptation Fund. India provides an example of one country where good progress has been made on identifying the best national partners to develop, prepare, and implement bankable development projects and programs that are financed both internationally and domestically. This paper describes how this was achieved through the process in support of the National Bank for Agriculture and Rural Development (NABARD) in its role as the national implementing entity (NIE) for the Adaptation Fund (AF). The paper also suggests that other countries, especially smaller countries such as the Pacific Island Countries, can make similar progress by following the NABARD example. This is the sixth publication in the USAID Adapt Asia-Pacific Adaptation Finance Knowledge Series. For related resources see the Further Resources section below. NIEs do not need to design adaptation projects themselves; they can draw from and build on the knowledge of local civil society organizations to design projects for them. Incidentally, these organizations are the best suited to design adaptation interventions relevant to the local conditions. The Guidelines are organized based on a typical project cycle, which has four stages: (i) project identification/ problem diagnosis of the baseline situation; (ii) project design, including appraisal – also called project preparation; (iii) project implementation; and (iv) monitoring and evaluation. Climate analysis must be integrated into each stage. Design and appraisal are part of the project preparation phase, extending up to the approval stage and before implementation starts. This requires a good understanding of the basic project preparation process and the format and content required for submitting project proposals for consideration by the AF Board. The Guidelines are now in use for training NABARD staff and are available to the local NGOs and other executing entities (EEs) who will be preparing future projects. While the Guidelines have been prepared for use by NABARD and the EEs in the preparation of projects for financing by the AF, they are also applicable for use in preparing projects that may be submitted to other nanciers, e.g. 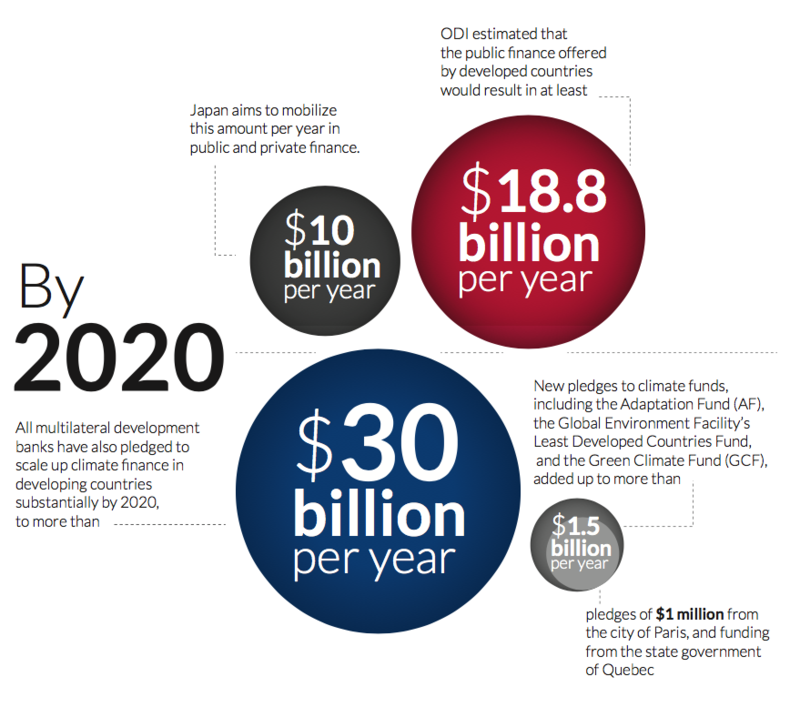 Green Climate Fund, or domestic sources of climate finance. USAID Adapt Asia-Pacific (2016) Guidelines for Designing Bankable Adaptation Projects​. USAID Regional Development Mission for Asia: Bangkok, Thailand.